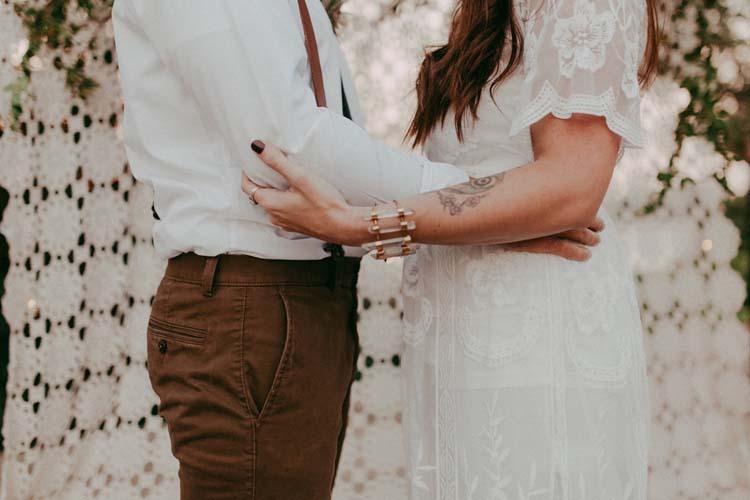 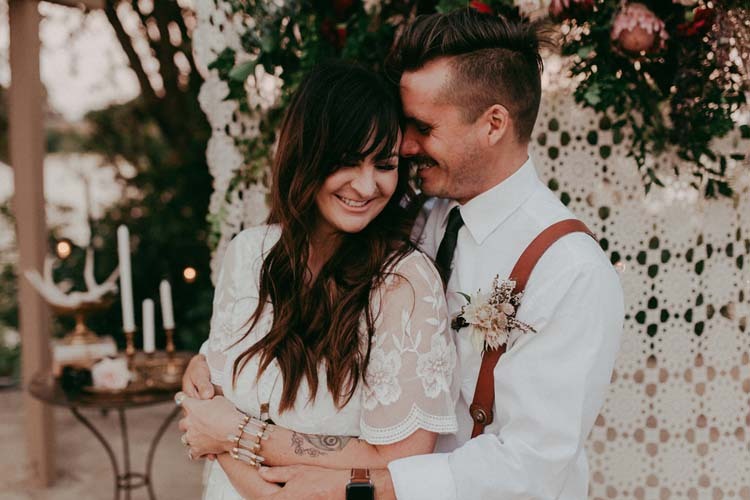 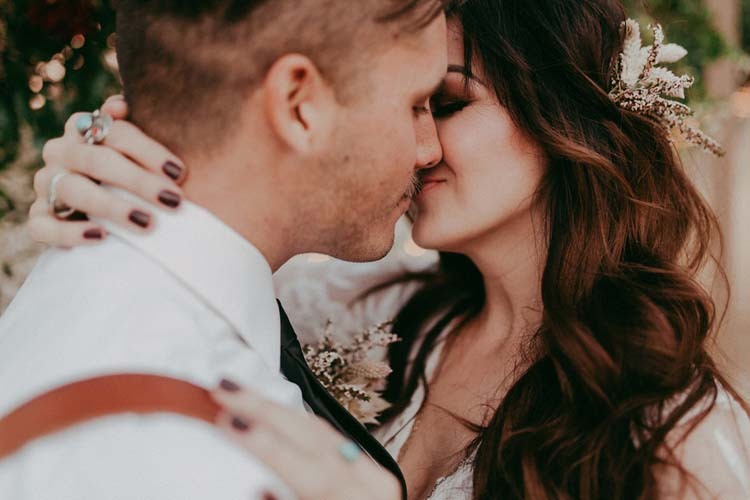 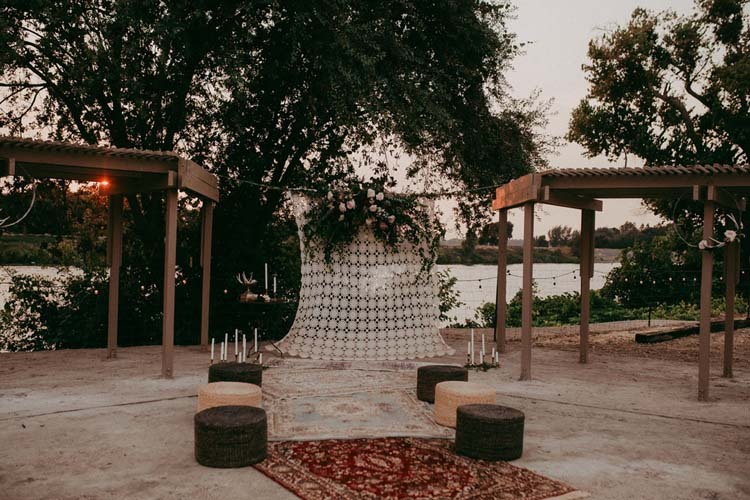 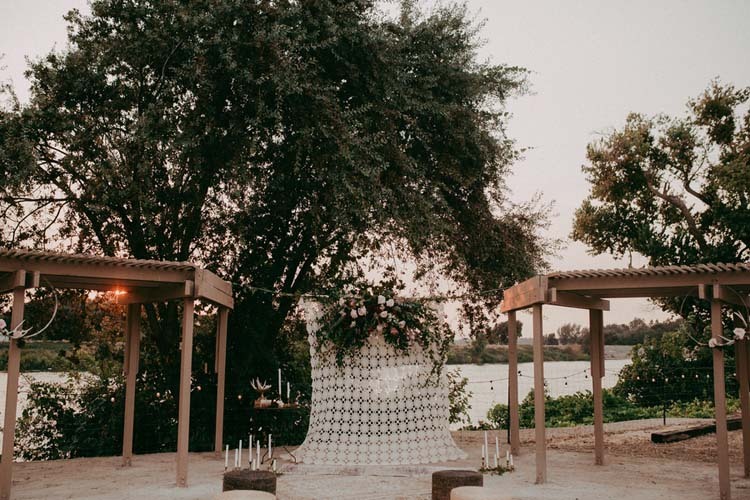 Earthy vibes by the river and barefoot vows at sunset combine for the perfect boho styled shoot from Vanessa Lynne Photography, featuring real-life couple Kelsey and Grant. 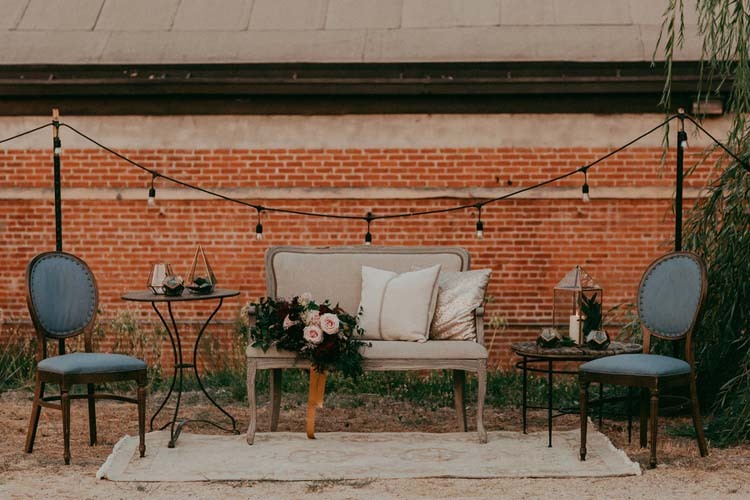 The Willow Ballroom recently built two beautiful pergolas on their property and asked Tin and Twine Events to set the stage for an outdoor ceremony. 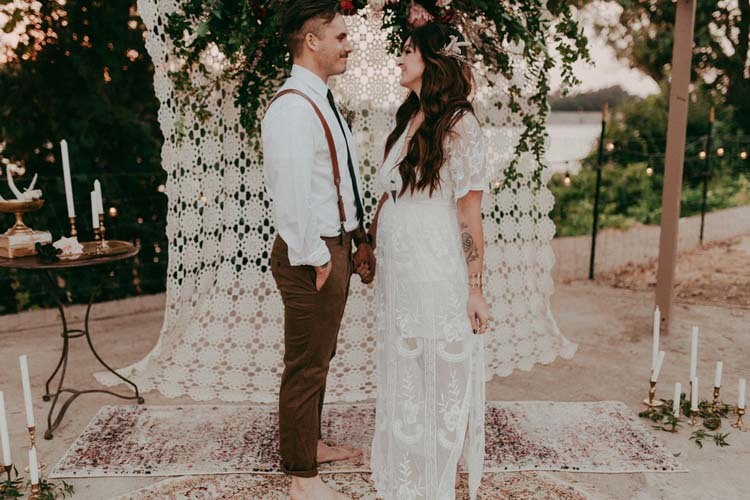 The natural beauty of the river is a perfect backdrop for these boho vows. 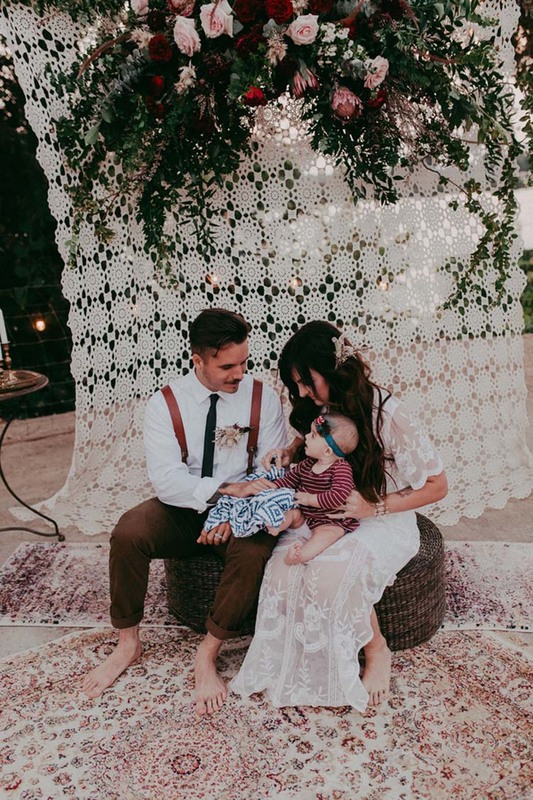 “Kelsey and Grant got married a couple of years ago and welcomed the cutest baby girl into the world six months ago,” Vanessa explained. 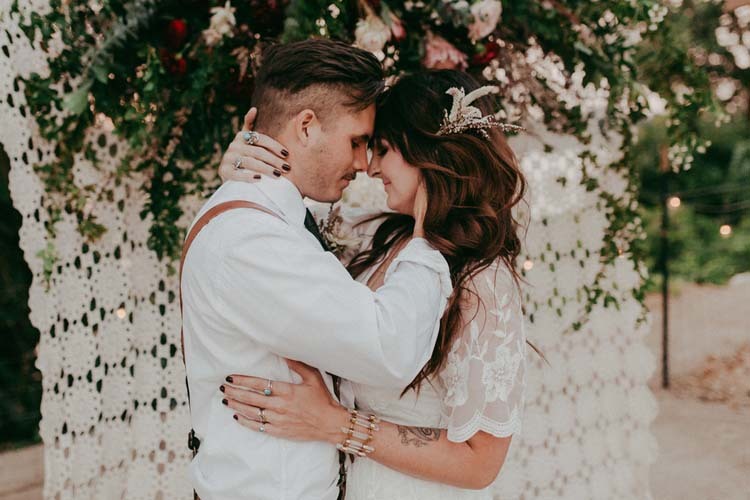 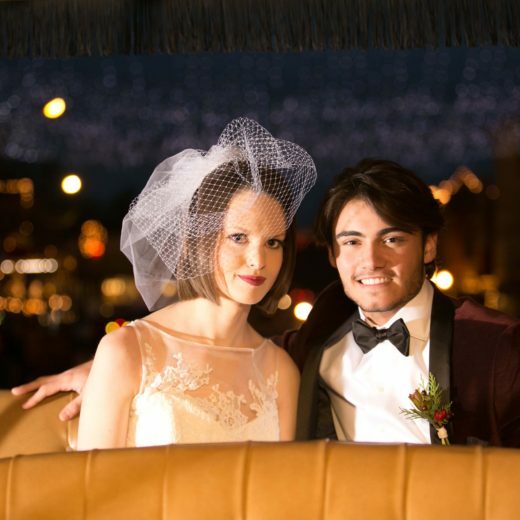 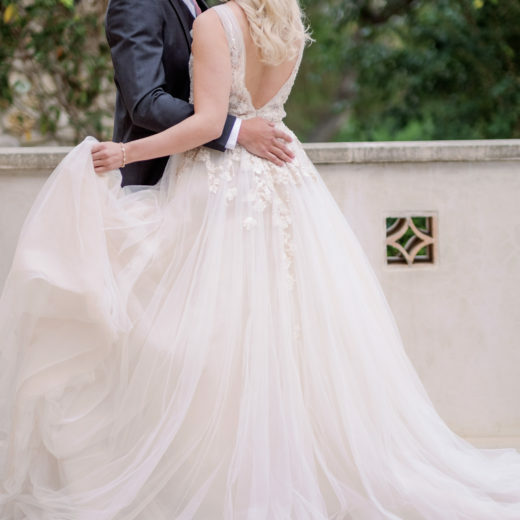 “Their wedding was boho style, and they said they enjoyed re-enacting their big day. 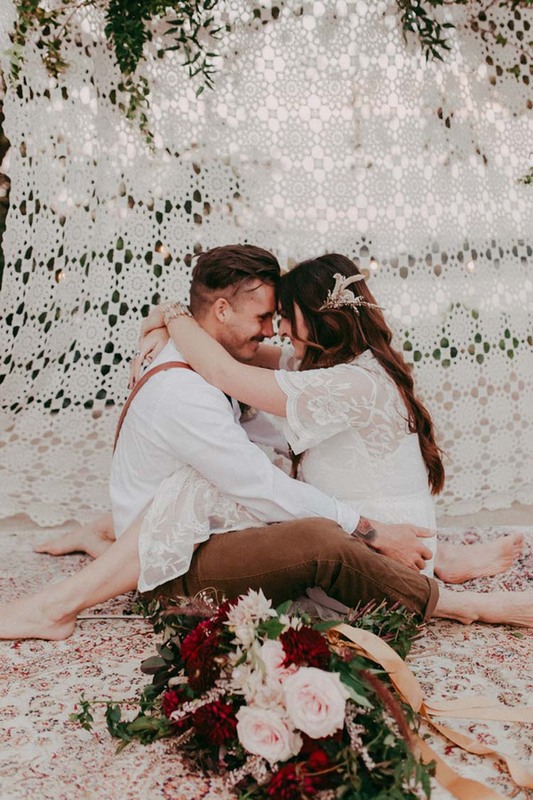 They exchanged their vows barefoot at sunset. 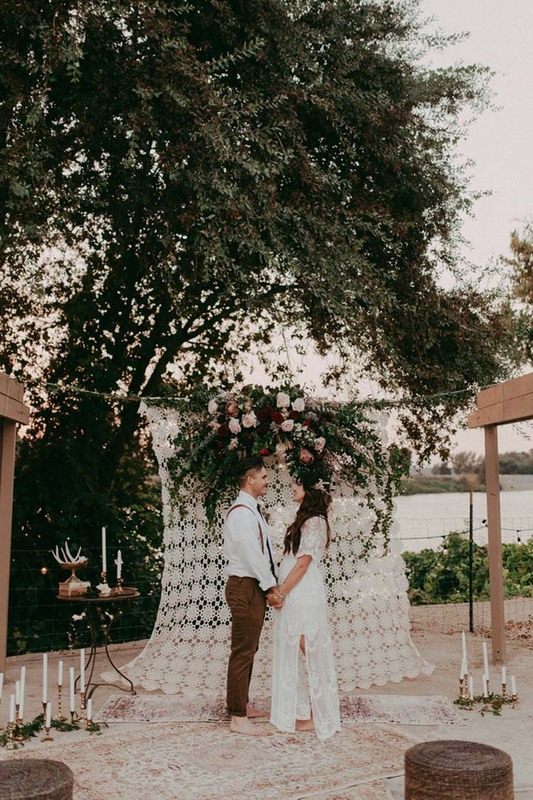 So romantical! 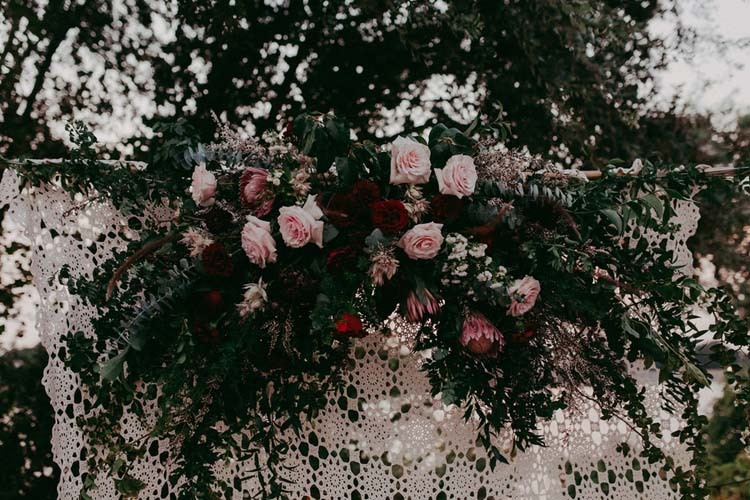 “Yay for Cake created a whimsical hanging arrangement that we secured between the two pergolas. 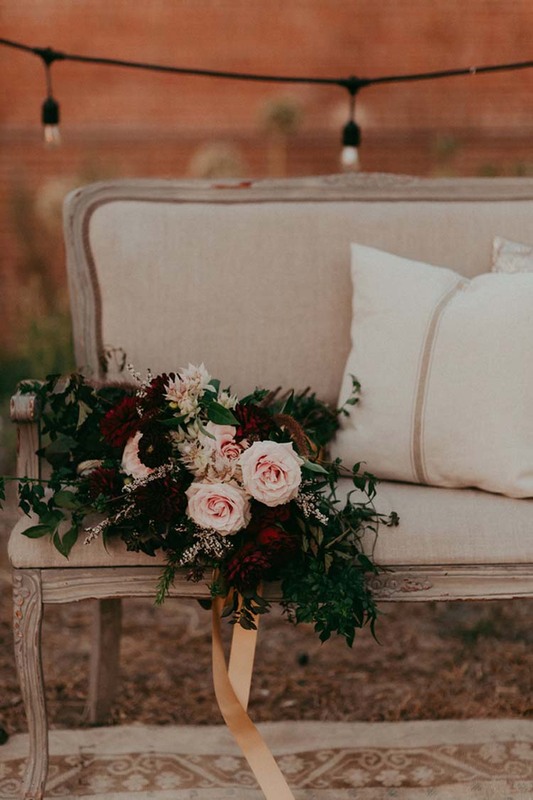 Behind we attached a white crochet piece from Tin Roof Farmhouse Vintage Rentals. 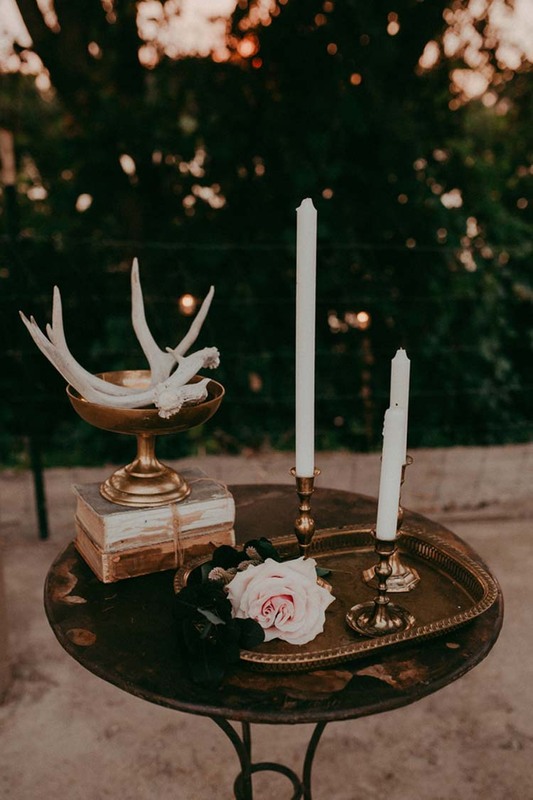 On one side of the crochet, we had a unity candle table styled with brass candleholders, deer horns, and flowers. 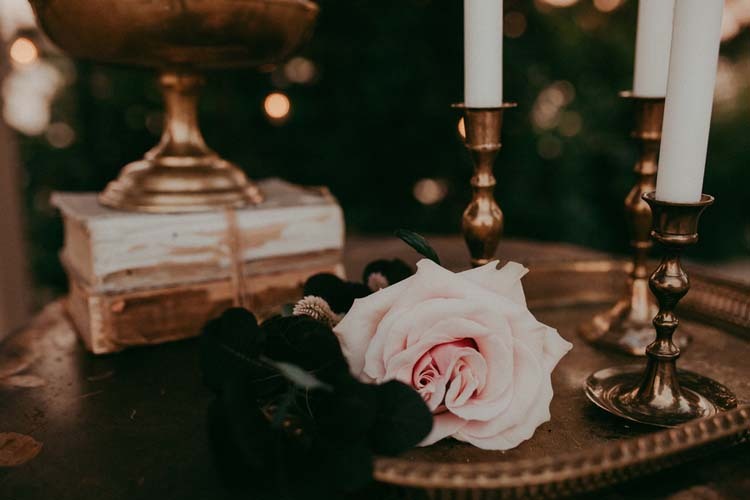 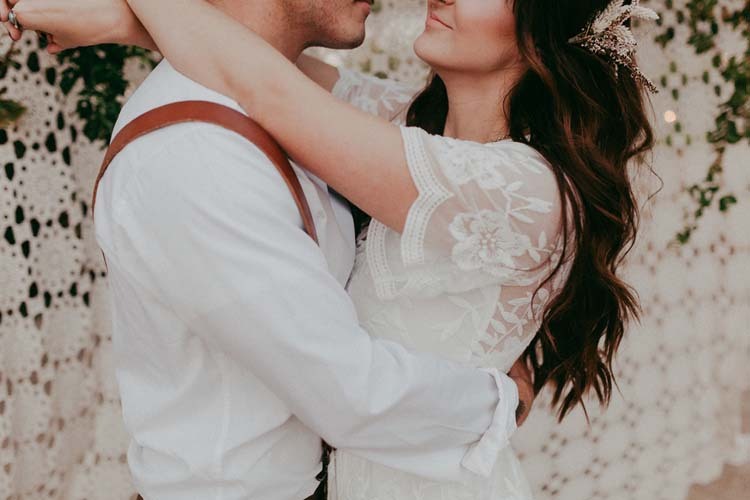 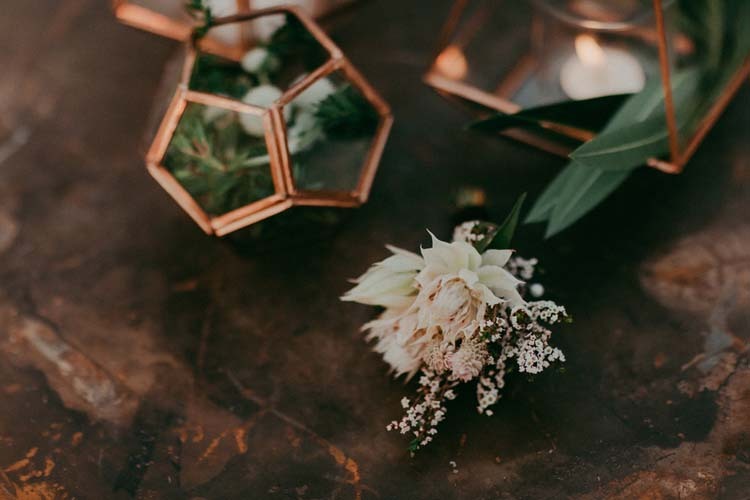 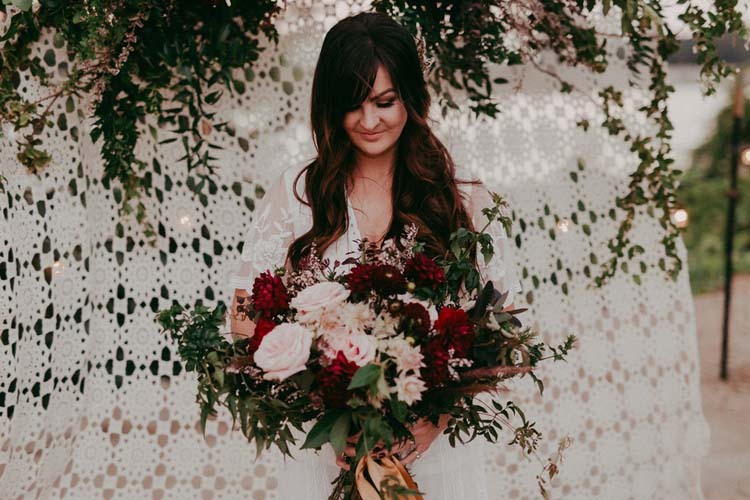 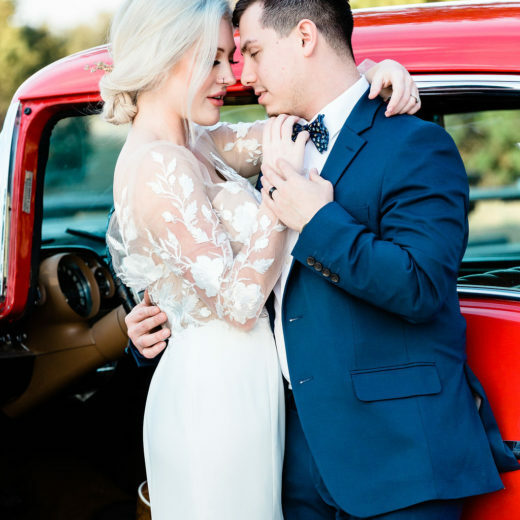 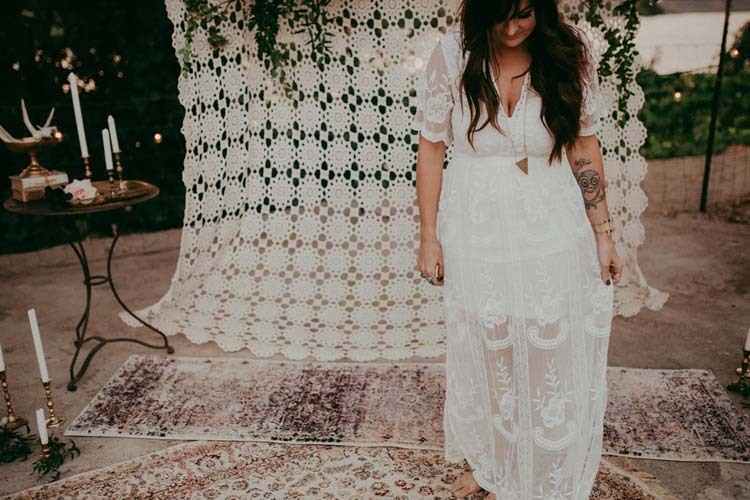 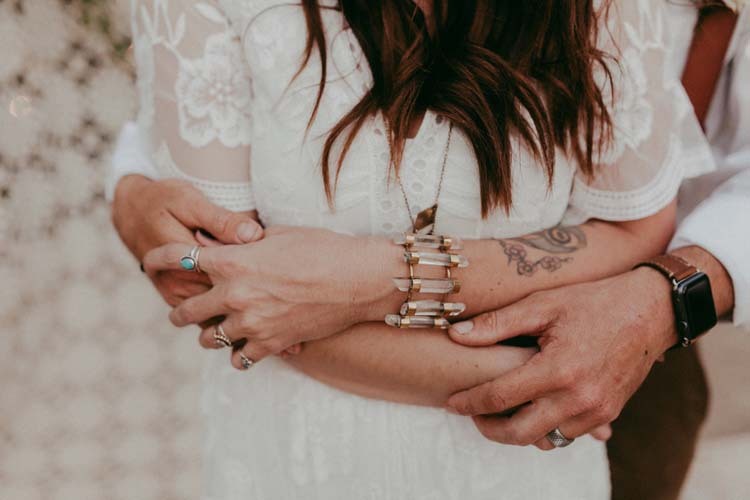 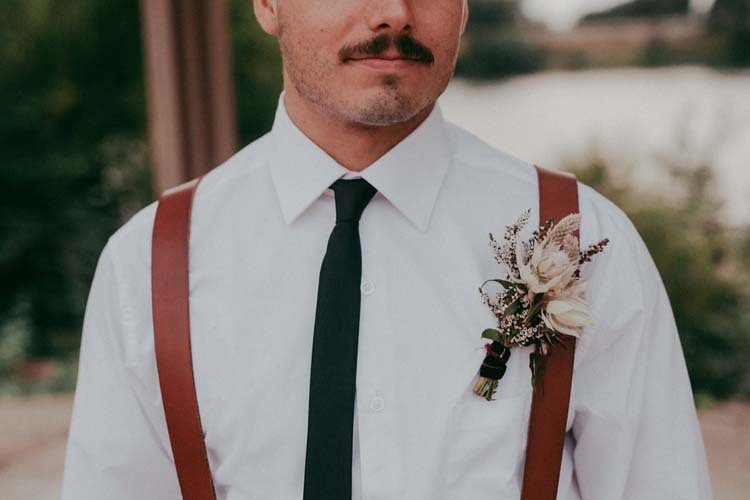 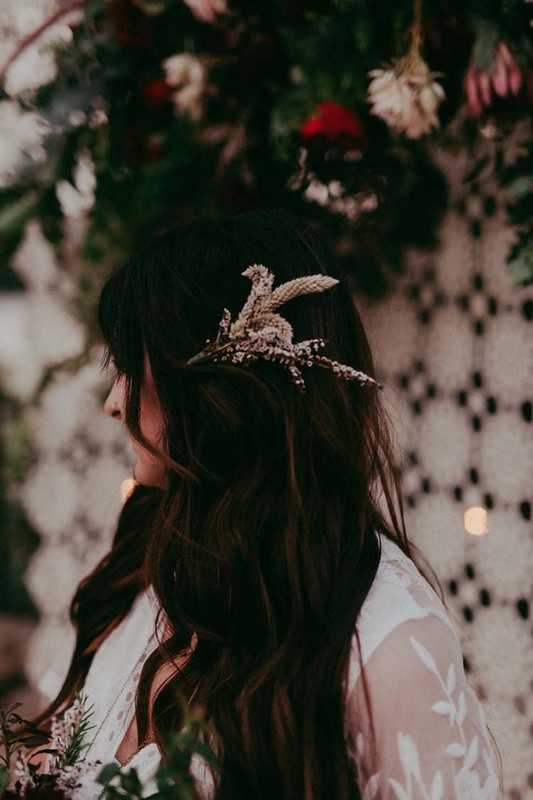 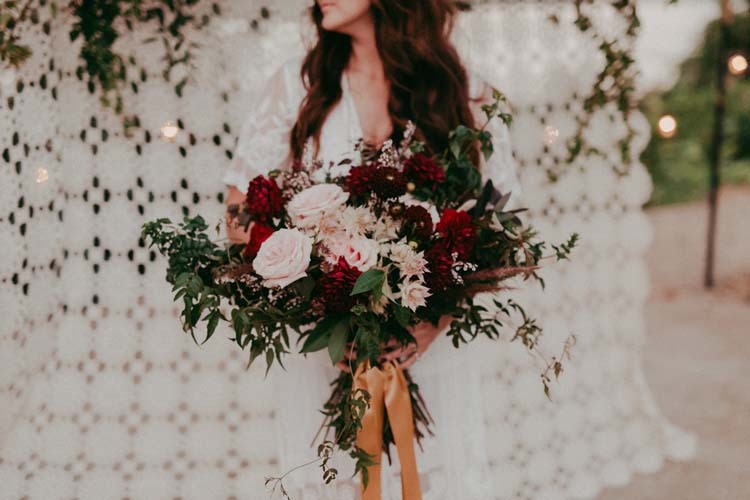 The result: peace, love, joy and boho vibes perfect for a vow renewal, elopement or intimate ceremony.